Kohler presents a beautiful and tasteful holiday version of their famous Terrapin Chocolates. 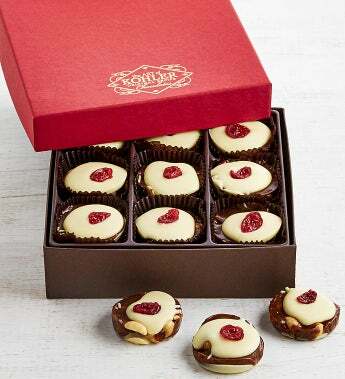 This festive and sophisticated treat lovingly combines crunchy peanuts, flavorful cranberries, buttery raspberry caramel and creamy white chocolate for a truly memorable chocolate piece. Perfect for any holiday party or hoard these divine delights for yourself!